An economic forum of the seven leading advanced industrial economies in the world, whose finance ministers have met several times a year to discuss problems in the world capitalist economy and to arrange for co-ordination of economic policies. It was formed in 1976 when Canada was added to the previous “Group of Six” (France, Germany, Italy, Japan, United Kingdom and the U.S.). In 2009 the G-7 decided that it no longer had sufficient economic power to coordinate (or completely dominate!) the entire world capitalist economy, and decided that the G-20 group (see below) would be the more appropriate forum for that purpose. The G-7 continues, however, perhaps more as a semi-independent “faction” within the G-20. G-7 meetings are now planned to be more informal and to be scheduled just before G-20 meetings. A primarily political forum (rather than economic) of the G-7 countries (see above) together with Russia, which meets about once a year in attempts to resolve actual or potential political disagreements and conflicts. An expanded forum created by the G-7 (see above) in 1999, for consultations on the international financial system and the world capitalist economy, and for coordination of national economic policies. It consists of the biggest developed and “emerging” world economies which represent 90% of global GNP, 80% of world trade (including European Union internal trade), and roughly two-thirds of the world population. Its members are: Argentina, Australia, Brazil, Canada, China, France, Germany, India, Indonesia, Italy, Japan, South Korea, Mexico, Russia, Saudi Arabia, South Africa, Turkey, the U.S., the United Kingdom and the European Union. Before 2009, the G-20 was subordinate to the G-7 in importance. But because of the growing economic power of China and other members of the G-20 who are not members of the G-7, in late September 2009, in the midst of the intensified world economic crisis, the G-20 was formally designated as the primary international consultation and coordination body for the economic policies of the major capitalist countries. The theory that the Earth itself (or at least its surface) can be viewed as a single biological organism which has the ability to regulate its own body temperature and chemistry. In other words, this supposed superorganism is claimed to be able to regulate the conditions for its own continued existence! This rather nutty idea was proposed by the NASA atmospheric scientist James Lovelock and others starting in 1972. Scientific critics pointed out that the theory was teleological and perhaps even implied some sort of consciousness for the Earth; that it suggested religious motives and thinking; and that it seemed to be in serious conflict with Darwinian evolution. Lovelock tried to defend and patch up the idea, implicitly watering it down, but the basic theory still seems extremely dubious at best to most biologists. It is true, however, that biological life-forms have caused some major changes to the Earth and its atmosphere. Before life came into existence there was no considerable and sustainable amount of the very reactive element oxygen in the atmosphere, for example. And there may indeed be various natural feedback systems that tend to stabilize the levels of oxygen and carbon dioxide in the atmosphere. It is also conceivable that there are similar sorts of feedback mechanisms for the ocean chemistry. However, it has proven to be quite difficult to specify exactly what all these feedback mechanisms are and to demonstrate that they must remain effective over long periods of time. Thus even the small aspect of scientific truth that might possibly exist in the Gaia Hypothesis is far from well established. 1. A large system of stars, often billions of them, together with dust and other material—perhaps including the recently hypothesized “dark matter”—which are held together primarily by gravity. Galaxies rotate, and the stars orbit the center of the galactic mass, which keeps them from falling inward into a single “black hole”. 2. Our own galaxy, the “Milky Way”; the galaxy within which the sun and the earth exist. Famous Greek physician of the later Roman Empire, and personal physician to several Roman Emperors including Marcus Aurelius. Often viewed as the greatest medical researcher of antiquity, though he did not dissect human cadavers. He upheld the “four humors” theory [black bile, yellow bile, blood and phlegm] which originated with earlier Greek physicians such as Hippocrates. He taught that blood was formed in the liver and went in and out from the liver in sort of a tidal ebb and flow, and that in the heart the blood was purified and mixed with air from the lungs, thus taking up “vital spirits” in the process. Galen’s views were revived in the late Middle Ages and continued to influence Western medicine as late as the 19th century. Great Italian scientist and founder of modern experimental physics. He was put under house arrest by the Roman Catholic Church and threatened with being burned at the stake (as was done to Giordano Bruno in the year 1600) if he did not renounce the Copernican theory that the earth revolves around the sun (rather than vice-versa). This is a famous episode in the perpetual war between science and religion. “Lest we forget: Galileo, the greatest scientist of his time, was forced to his knees under threat of torture and death, obliged to recant his understanding of the Earth’s motion, and placed under house arrest for the rest of his life by steely-eyed religious maniacs. He worked at a time when every European intellectual lived in the grip of a Church that thought nothing of burning scholars alive for merely speculating about the nature of the stars.... This is the same Church that did not absolve Galileo of heresy for 350 years (in 1992).” —Sam Harris, “The Language of Ignorance”, Aug. 15, 2006. The study, often highly mathematical, of interdependent decision making. Since this subject is mostly pursued by bourgeois economists and mathematicians, the assumption is usually made that the current generally selfish human nature in bourgeois society is fixed for all time. This colors and distorts all the “findings” of this “science”. The major founding work of economic game theory was Theory of Games and Economic Behavior (1944), by John von Neumann and Oskar Morgenstern. The nom de guerre of Muppala Lakshmana Rao, the General Secretary of the Communist Party of India (Maoist). According to sources on the Internet, he was born in Beerpur village in Sarangapur mandal (“township”) in Karimnagar district of Andhra Pradesh, and became a teacher there. While in college in Warangal he met Maoist leaders Nalla Adi Reddy and Kondapalli Seetharamaiah and joined the Naxalite movement. He was one of the early members of the Communist Party of India (Marxist-Leninist) People’s War and eventually became the General Secretary of the party. 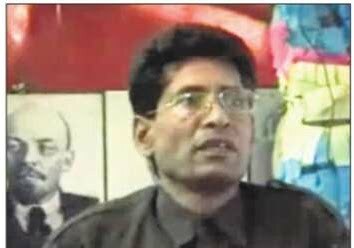 When that party merged with the Maoist Communist Centre of India in September 2004 to form the CPI(Maoist), Ganapathy became the General Secretary of the unified party. The so-called “Gang of Four” consisted of Mao’s wife Jiang Qing (Chiang Ching), Zhang Qunqiao (Chang Chun-chiao), Wang Hongwen (Wang Hung-wen), and Yao Wenyuan (Yao Wen-yuan). The name comes from a friendly, and perhaps half-joking warning from Mao to these four close supporters not to form themselves “into a gang of four”; in other words it was comradely advice to avoid sectarianism and seek wider support and alliances within the Party. After Mao’s death and the coup d’état by the capitalist roaders, this friendly warning by Mao to close comrades was reinterpreted by these rightists as an excuse to oppose and arrest not only these four, but thousands of other close revolutionary followers of Mao. For obvious reasons, the opponents of the capitalist-roaders in and outside of China often prefer to refer to these close comrades of Mao as “the Four”, rather than the “Gang of Four”. “To represent the Four as close associates and, what is more, dominant leaders during the years of the Cultural Revolution [meaning 1966-1969 —Ed.] is to perpetrate a pure fabrication.” —Edoarda Masi, China Winter: Workers, Mandarins, and the Purge of the Gang of Four (1978), p. 22.